Offer expires November 29, 2016 11:59pm (EDT). Please call 1-800-852-4216 for complete details. 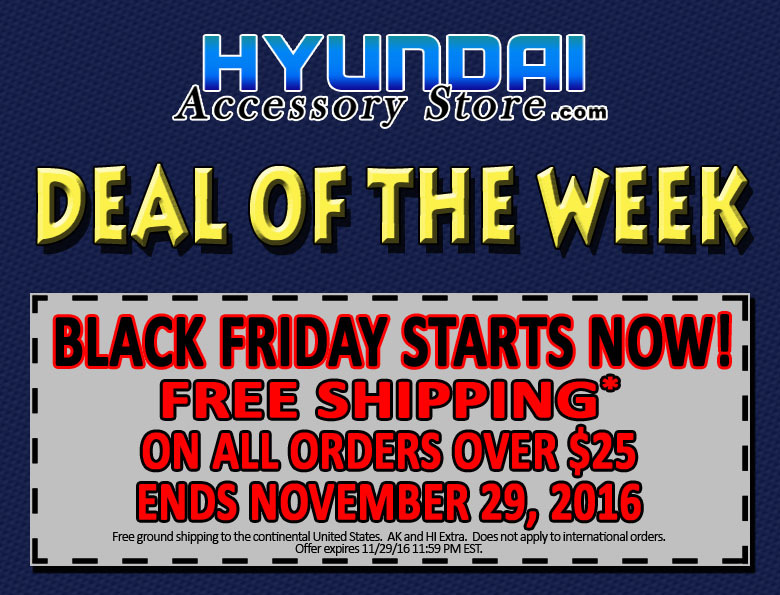 This entry was posted in Hyundai, Hyundai Accessory Store on November 22, 2016 by hasblog. Offer expires November 22, 2016 11:59pm (EDT). Please call 1-800-852-4216 for complete details. 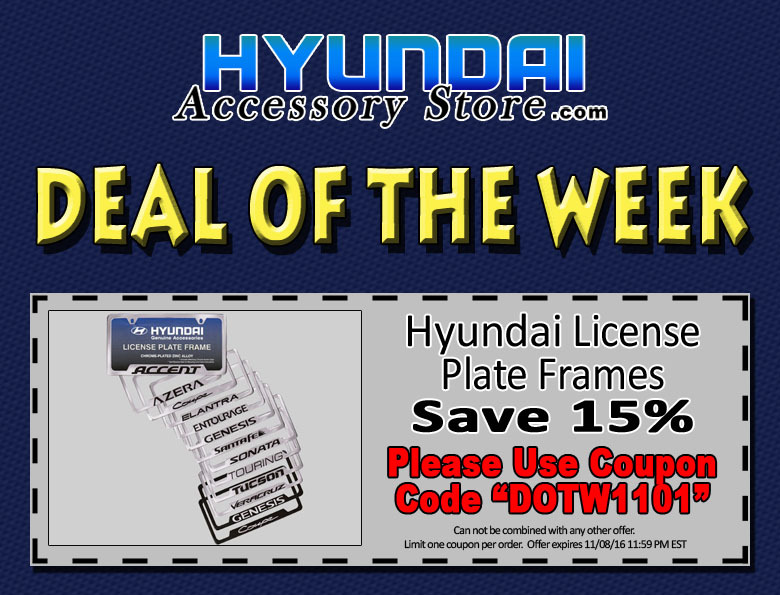 This entry was posted in Hyundai, Hyundai Accessory Store on November 15, 2016 by hasblog. Offer expires November 15, 25, 2016 11:59pm (EDT). Please call 1-800-852-4216 for complete details. 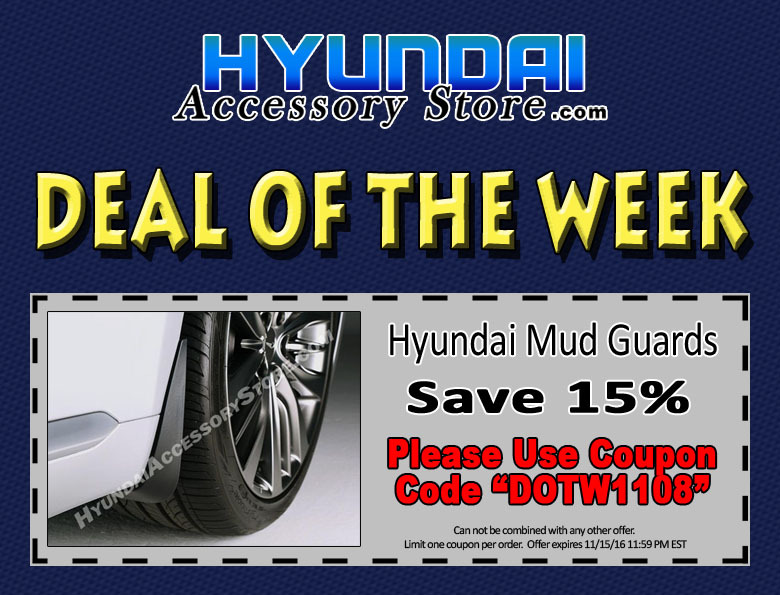 This entry was posted in Hyundai, Hyundai Accessory Store on November 8, 2016 by hasblog. Offer expires November 08, 25, 2016 11:59pm (EDT). Please call 1-800-852-4216 for complete details. 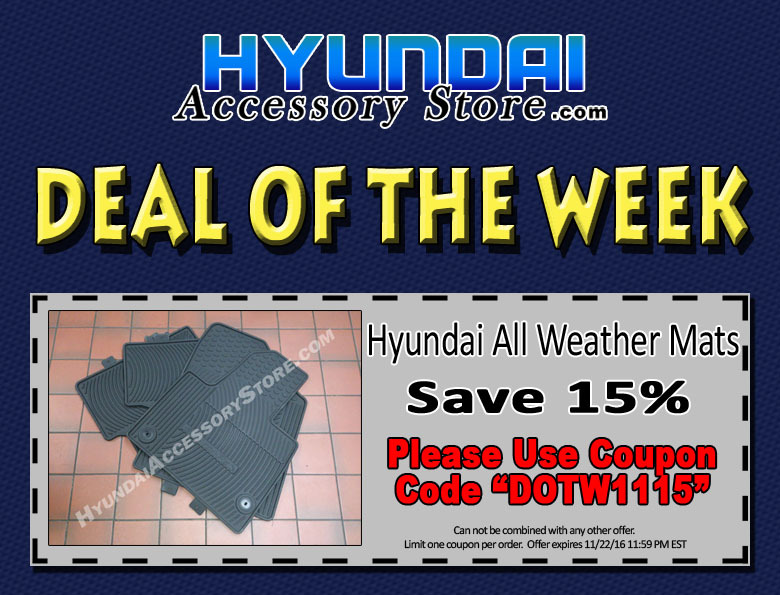 This entry was posted in Hyundai, Hyundai Accessory Store on November 1, 2016 by hasblog. Offer expires November 01, 25, 2016 11:59pm (EDT). Please call 1-800-852-4216 for complete details. 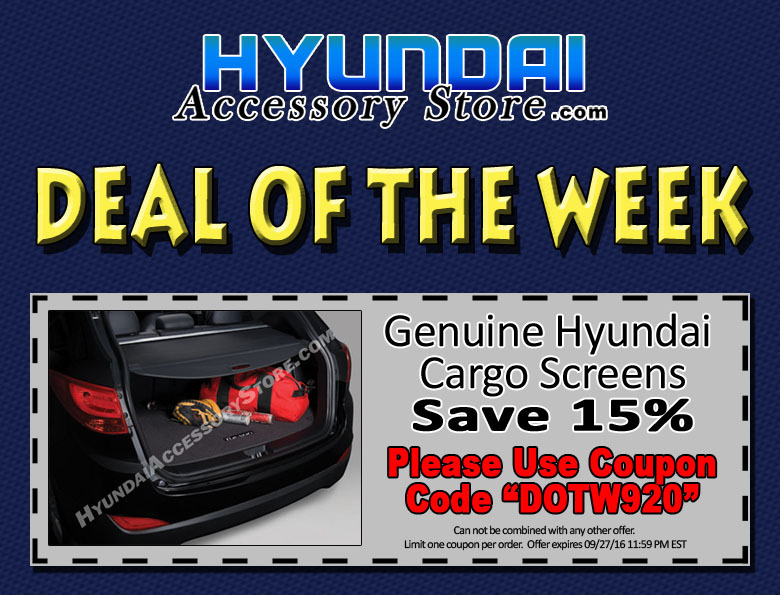 This entry was posted in Hyundai, Hyundai Accessory Store on October 25, 2016 by hasblog. Offer expires October 25, 2016 11:59pm (EDT). Please call 1-800-852-4216 for complete details. 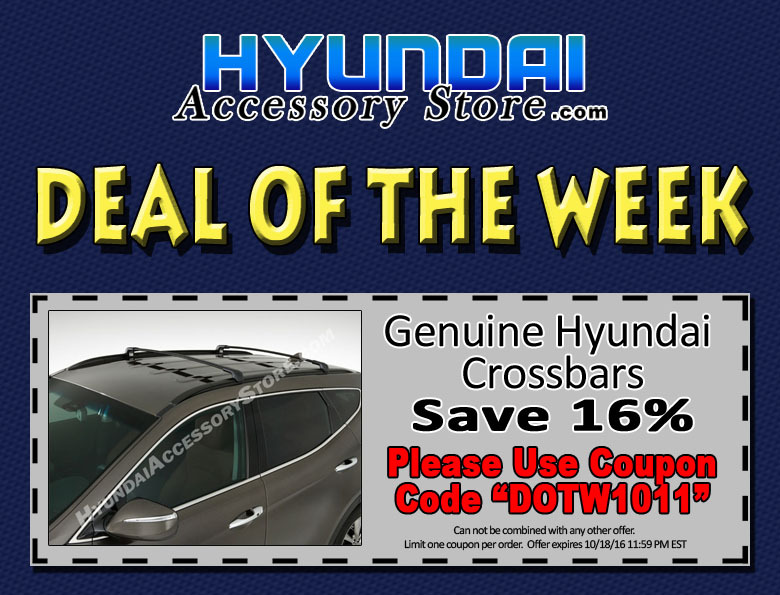 This entry was posted in Hyundai, Hyundai Accessory Store, Hyundai Motor America on October 18, 2016 by hasblog. Offer expires October 18, 2016 11:59pm (EDT). Please call 1-800-852-4216 for complete details. 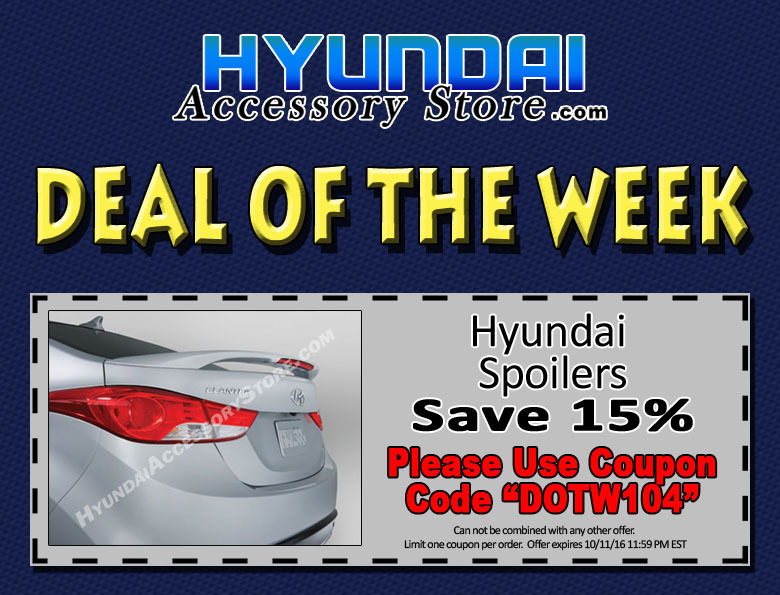 This entry was posted in Hyundai, Hyundai Accessory Store on October 11, 2016 by hasblog. Offer expires October 11, 2016 11:59pm (EDT). Please call 1-800-852-4216 for complete details. 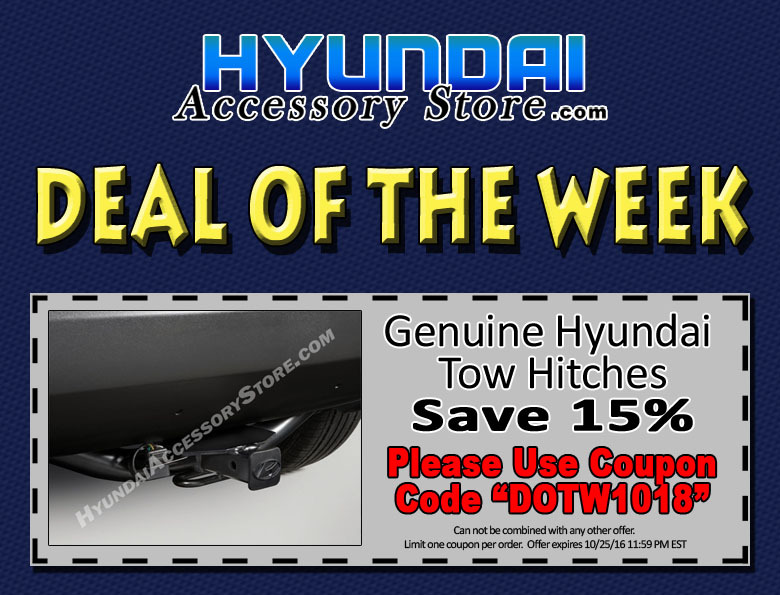 This entry was posted in Hyundai, Hyundai Accessory Store on October 4, 2016 by hasblog. 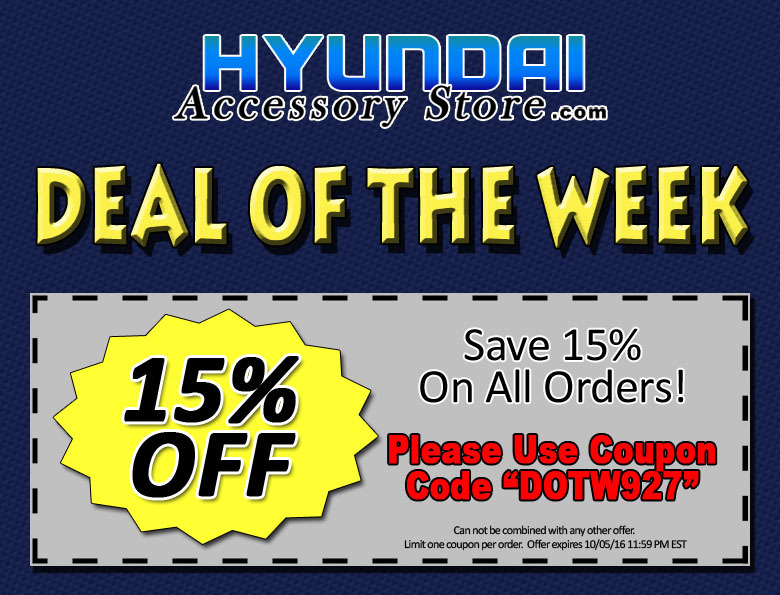 Save 15% on All Orders! Offer expires October 05, 2016 11:59pm (EDT). Please call 1-800-852-4216 for complete details. This entry was posted in Hyundai, Hyundai Accessory Store on September 28, 2016 by hasblog. Offer expires September 27, 2016 11:59pm (EDT). Please call 1-800-852-4216 for complete details. 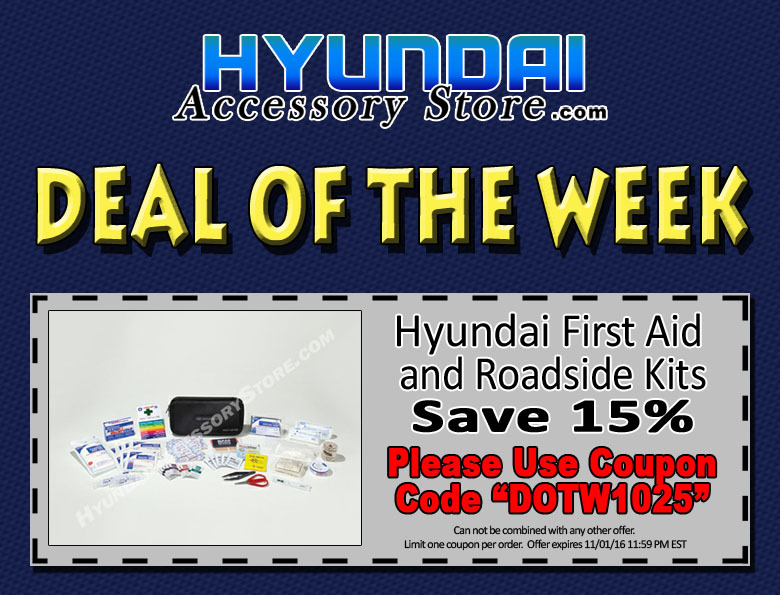 This entry was posted in Hyundai, Hyundai Accessory Store on September 21, 2016 by hasblog.